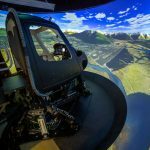 Frasca was contracted to design, manufacturer and install three state-of-art full flight simulators in Bristow’s North Sea helicopter training center in Aberdeen, Scotland. The company began building its oil and gas credentials before the first discovery in the North Sea, tracing its beginnings back to an adventurous businessman named Alan Bristow. The company’s long history started in 1955 with Bristow Helicopters Ltd. in the UK. In 1996, Offshore Logistics of the United States purchased a stake in Bristow Helicopters Ltd., and the company was rebranded as Bristow Group Inc. in 2006. Today Bristow employs approximately 5,000 people and operates 345 aircraft - 296 helicopters and 49 fixed-wing aircraft – plus 119 aircraft flown by joint-ventures partners, with major operations in the North Sea, Nigeria, the U.S. Gulf of Mexico, and in most of the other major offshore oil and gas producing regions of the world, including Australia, Brazil, Canada, Russia and Trinidad. In the central and northern North Sea, the U.K.’s offshore oil and gas fields are primarily served from Aberdeen airport — the world’s busiest helicopter hub —, which handles about 500,000 passengers each year. The country’s northernmost floating and fixed platforms are supported from Scatsta and Sumburgh airports in the Shetland Islands. Bristow’s offshore oil and gas helicopter pilots flying in the North Sea encounter a variety of operating conditions, including most weather phenomena, such as high winds and sea states, low cloud, poor visibility, fog, thunderstorms, icing conditions, and turbulence. 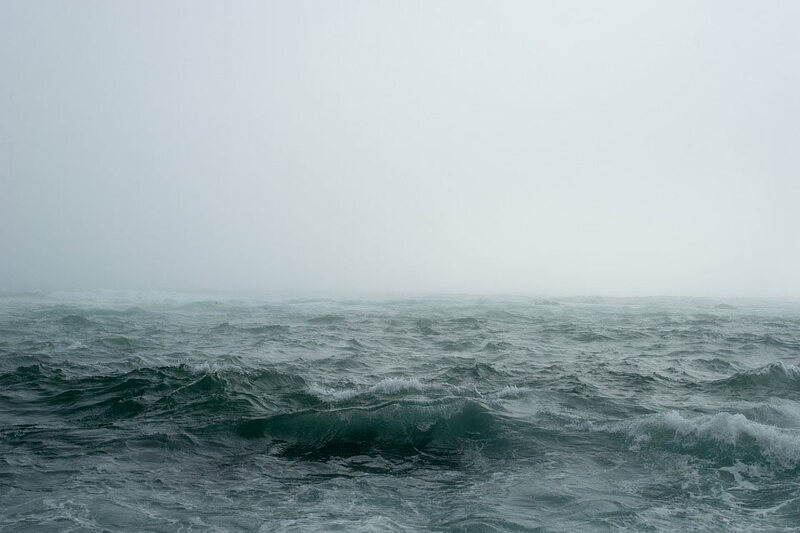 While there are also good weather days, the key feature in the North Sea is the changeability of meteorological conditions. Bristow also conducts helicopter Search and Rescue (SAR) operations under a UK government contract from a number of bases around the UK, and for the offshore oil and gas industry in Norway. This is a 24-hour all-weather day/night service utilizing well-equipped S-92 and AW189 helicopters and expertly trained and experienced crews. 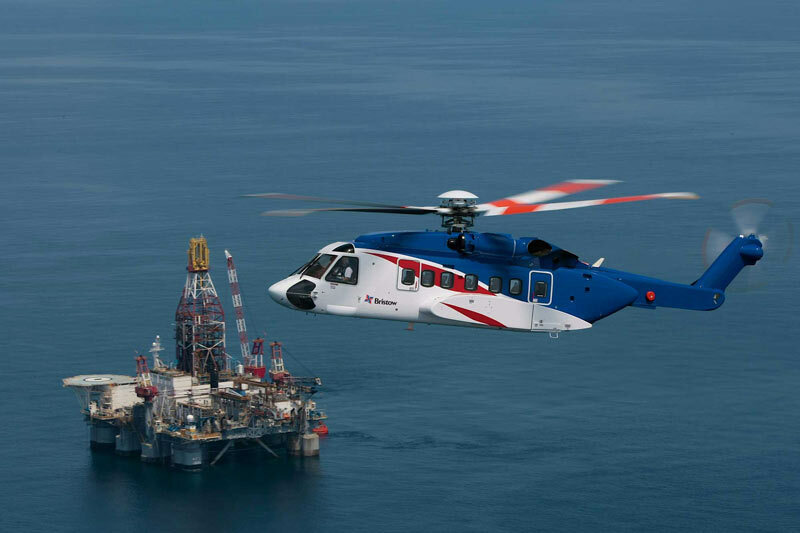 In the mid-2000s, Bristow began replacing the long-serving Airbus AS332L Super Puma helicopter with a new generation of twin-engine offshore helicopters: Airbus EC225, Leonardo AW139, Sikorsky S-76C++ and Sikorsky S-92. 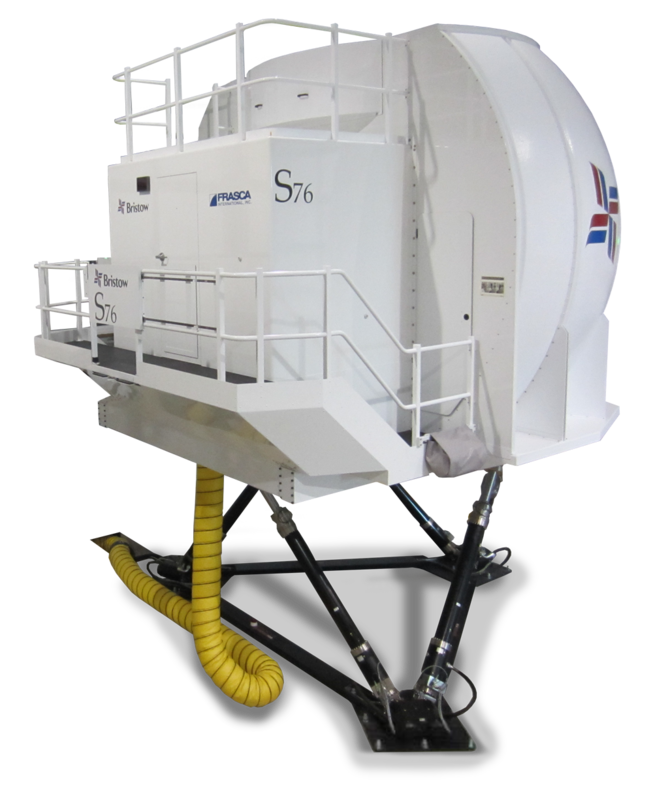 In August 2007, Bristow Group placed an order with Frasca for new Sikorsky S-92 and Airbus (Eurocopter) EC225 flight simulators for its training center in Aberdeen, Scotland, and in November 2011 ordered a third flight simulator for the Sikorsky S-76C++. The three custom simulators featured a Frasca TruVision Global visual system with a 200-degree horizontal by 70-degree vertical dome visual system, six-axis electric motion base, vibration platform, exact cockpit replication, electric control loading, blade element modelling, multi-channel sound simulation, Night Vision Goggle (NVG) compatibility and a touch screen instructor operator station (IOS). The visual database for Bristow included several high-detail UK airports (i.e. Aberdeen, Scatsta, Sumburg, Norwich, Stansted and London), coastlines and North Sea offshore oil field installations with a range of sea states, plus varying weather and day/dusk light conditions. The Frasca simulators are also equipped with an auto-test utility that employs sensors and software to automatically fly the FFS through the required CAA maneuvers, record the performance and compare the results to flight test data obtained from an actual helicopter. Auto-test also includes a real-time graphical feedback on the visual display, which greatly simplifies performing control sweep tests. 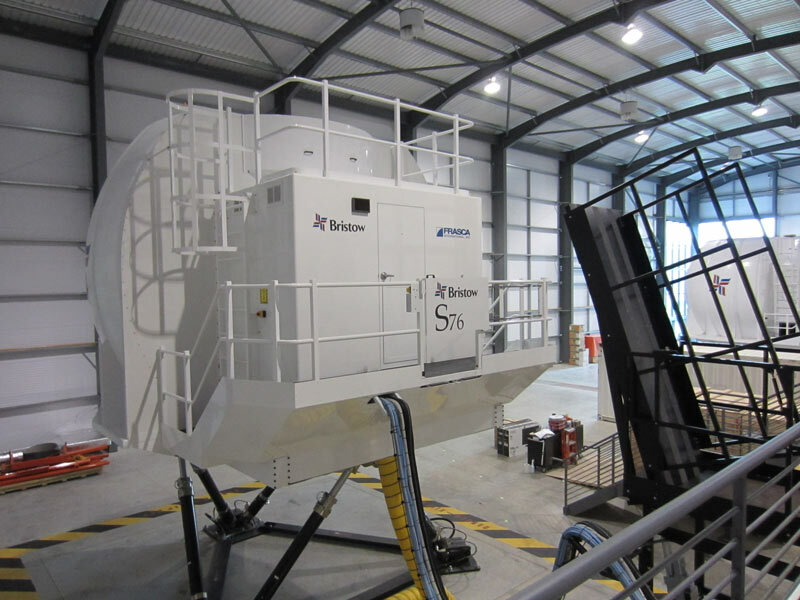 “Bristow conducted a training needs analysis to determine what flight simulators we needed and what capabilities were required,” explains Paul Quick, Bristow’s Training Standards Manager. The build and certification standards for flight simulation training devices are complex, and Bristow recognized that it was difficult to predict the precise training credits it would obtain for anything other than a Level D FFS until the device was build and certified. Bristow’s aim was to get as close to the FFS Level D training credits as it could, but by using an alternate certification level that would allow more flexibility in the technologies employed to better meet its training objectives. 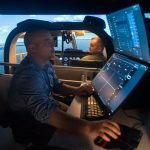 “After careful analysis, we determined that by combining two build standards, the Full Flight Simulator (FFS) Level B and Flight Training Device (FTD) Level 3, and taking the higher capability from each, we could approach the FFS Level D in terms of capability and credits,” explains Quick. 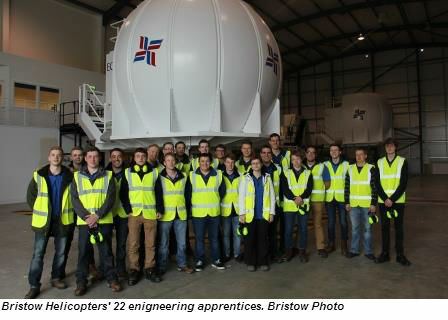 Bristow provided Frasca with a comprehensive specification of what the training devices were required to achieve. 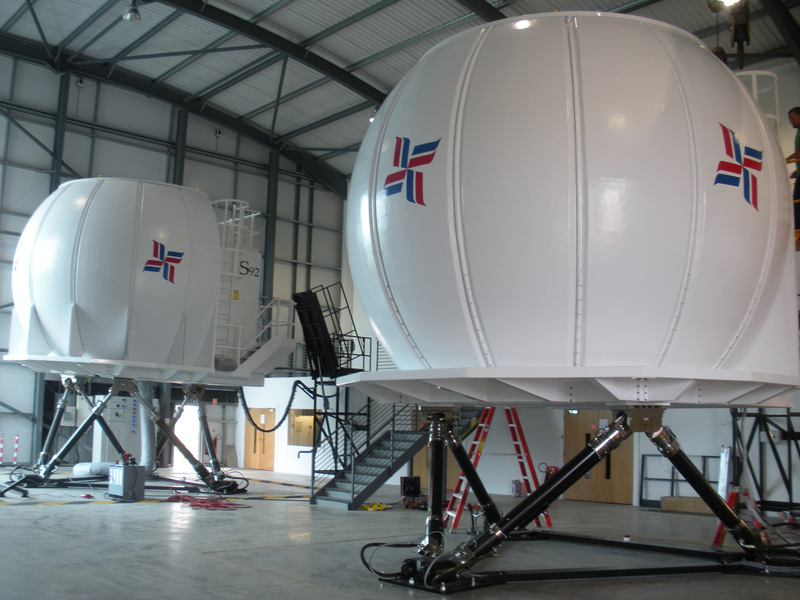 Frasca met the challenge by delivering three high fidelity flight simulators that not only met Bristow’s certification objectives but proved to be extremely reliable and easy to maintain, with reliability exceeding 98 percent. 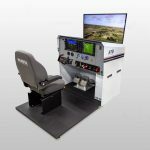 “Our Frasca flight simulators are dual qualified by the UK Civil Aviation Authority (CAA) as FFS Level B and FTD Level 3 under the EASA system,” says Quick. 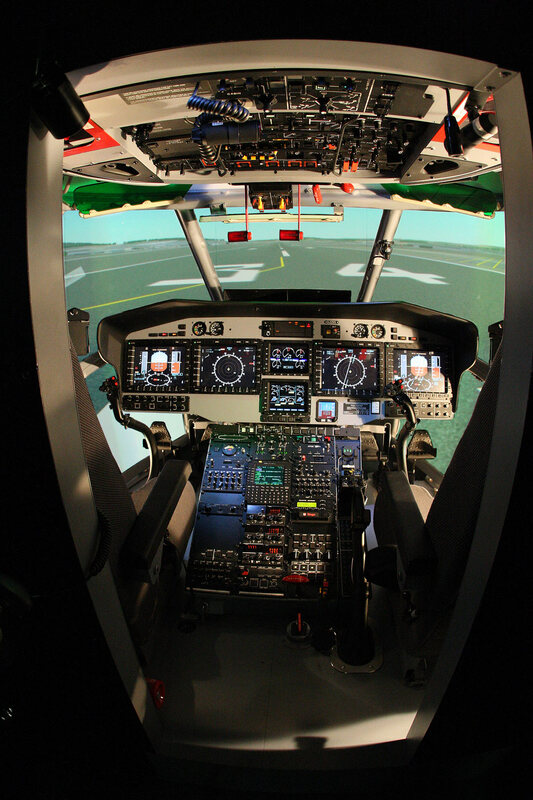 The Sikorsky S-92 simulator was qualified on February 4, 2010, the Airbus EC225 on August 25, 2010, and the Sikorsky S-76C++ on May 23, 2013. Today, the Sikorsky S-92 is the workhorse of the offshore oil and gas industry and Bristow and its partners operating 91 S-92s in early 2017 – the world’s largest fleet. Bristow conducts the vast majority of training in-house using company training staff and company-owned simulators. “The training credits awarded to helicopter pilots are now similar to a Level D Full Flight Simulator and include around 90% of the initial type conversion course and 100% for recurrent training and checking requirements,” says Bristow’s Paul Quick. New pilots receive initial type training when they join Bristow and others when they transition between different helicopter types within the company. 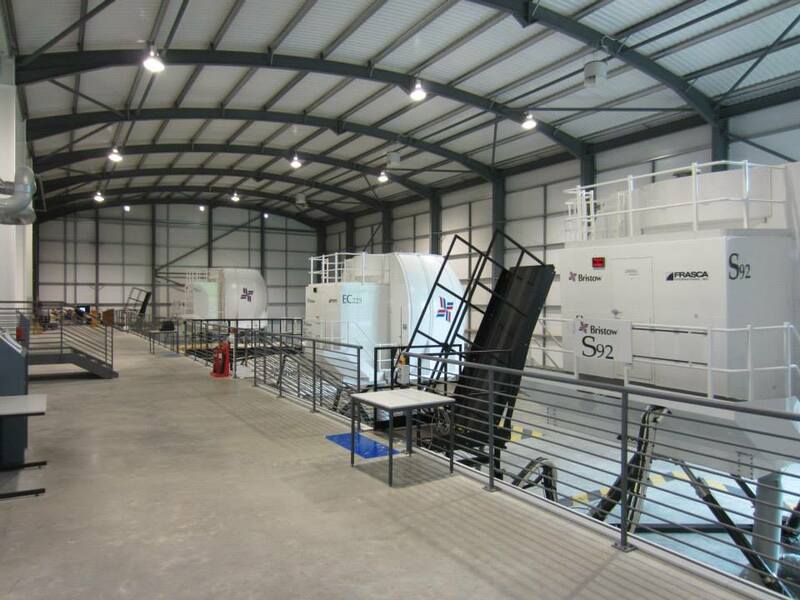 Bristow’s initial training program consists of an aircraft-type rating course as well as an operator conversion course, the majority of which is conducted in the simulator and supplemented by actual aircraft training. The operator conversion course is primarily concerned with operating the aircraft type in a specific role (e.g. offshore support or SAR) with most of the flying done on a simulator. 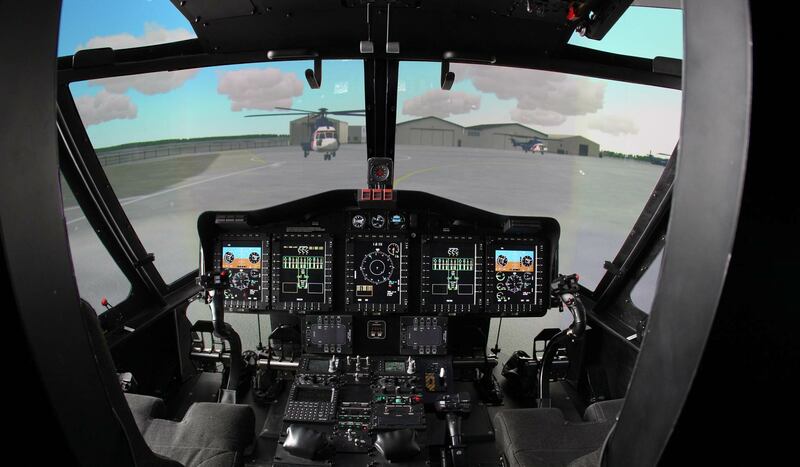 Under the EASA rules, an element of aircraft training is still required during the initial course onto a new helicopter type. This usually requires two hours in a helicopter where the pilot will experience handling the helicopter in the real environment and make landings and take offs at an offshore platform. All Bristow pilots undergo recurrent training every six months, and all recurrent training and checking is conducted in a simulator device (apart from a Line Check on a helicopter during normal flight conditions). 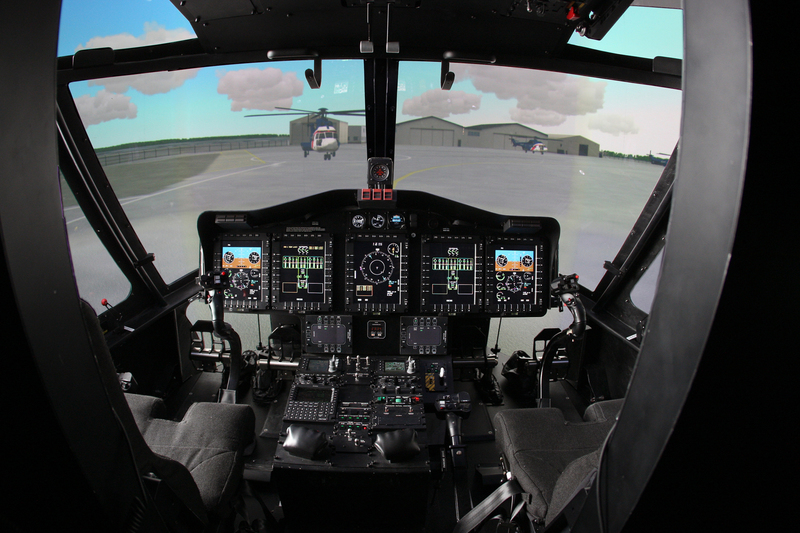 Pilots receive 100% credit for training time in Bristow’s Frasca simulators. The EASA certification specifications for flight crew data (CS-FCD) also recognizes the dual qualified Frasca FFS Level B / FTD Level 3 as an alternative to the FFS Level C/D. This means that helicopter pilots with an EASA license receive similar training credits for simulator time. 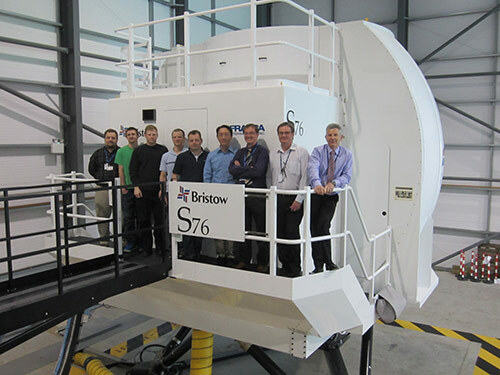 Bristow measures the benefits of full-flight simulator training by monitoring pilot performance, particularly during recurrent training and checks and also via feedback from Helicopter Flight Data Monitoring (HFDM) and Aircrew Safety Reports. In addition to knowledge and skills related to operating the helicopter in the environment and emergency conditions, Bristow says multi-crew procedures and Crew Resource Management (CRM) are important factors that can be safely taught in a Full Flight Simulator to ensure safe, effective and efficient flight. The Frasca simulators also feature have recording and playback facilities which enable the flight to be played back for debrief and analysis purposes, including video, audio, instrument readouts and flight path data. Another important consideration is that training in simulators is better for the environment as it reduces noise and carbon emissions, which are associated with flying the actual aircraft. Although electricity is consumed, modern simulators are very energy efficient. 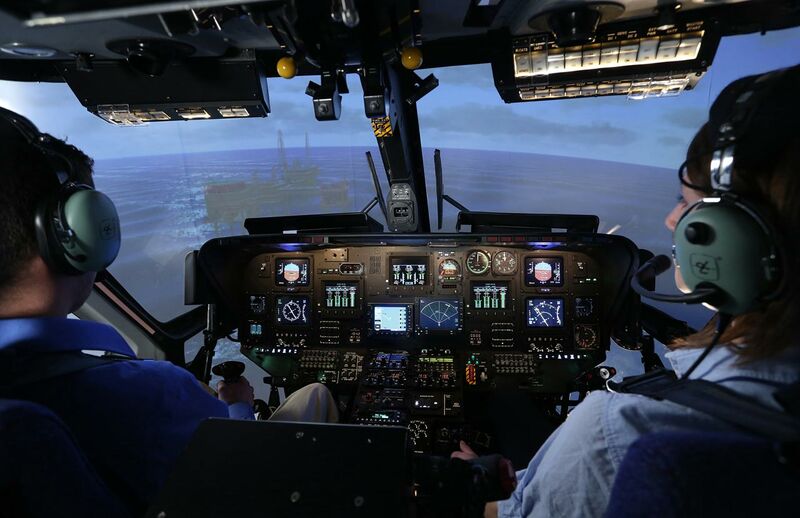 Offshore helicopter pilot training programs continue to evolve in response to regulatory changes, upgrades in aircraft equipment and systems, industry incidents and accidents and internal data derived from safety management systems. 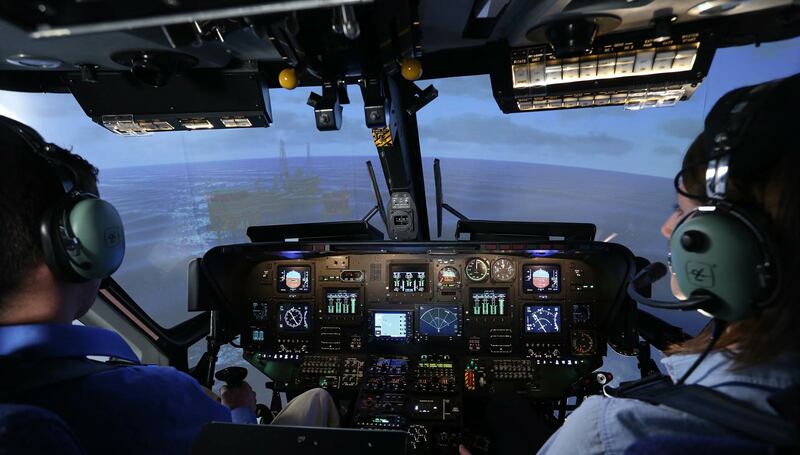 Since 2010, Frasca’s advanced helicopter full flight simulators have helped Bristow Group develop a true company-wide learning and safety culture.